My job is to connect your organization with your people in fun, positive, memorable, but most importantly meaningful ways. How do you want them to feel? What do you want them to know? Let me know, and I'll take care of the rest. Every time your people gather is a chance to connect. Your next event doesn't have to be an expense, I can help you accomplish your business goals and emphasize your annual theme. I can help bring focus where you want focus, deliver the messaging you want delivered, help those who normally disengage at events engage, increase employee moral, and so much more. I look forward to talking with you soon. We hired Daniel to surprise our Mom Me Me Jane on her 79th Birthday. She was so excited and loved having him be her surprise with his fabulous magical skills. Daniel included the whole family to help out with his magic and everyone had such a great time. We highly recommend Daniel and will call on him again to entertain us..
Daniel Schaffer was wonderful! He arrived and set up early, giving him time to mingle and perform tricks on a personal basis with the children. He was well dressed, used clean language, and was professional and courteous. The tricks were well geared for a younger audience with a couple nicely suited for adults. At booking he asked about the audience and preferred length of show to perform according to our requests. He gave us a great show! 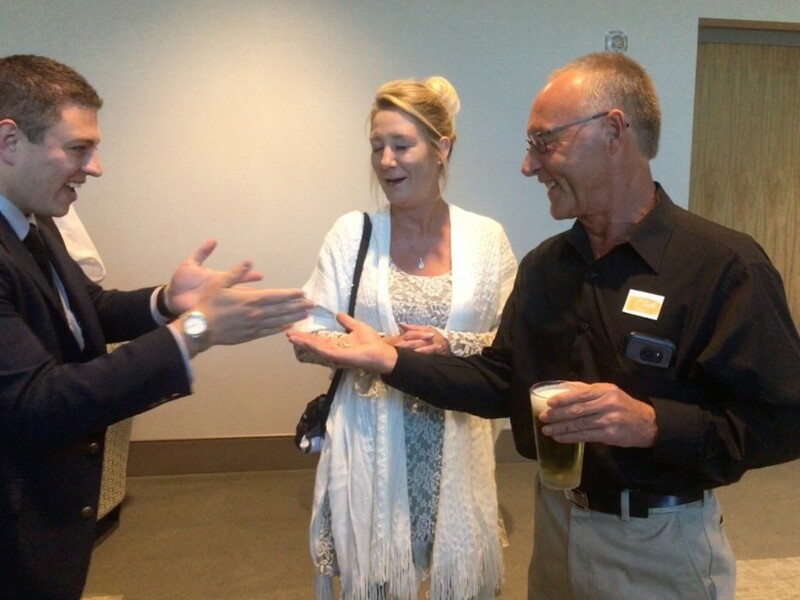 Our guests were amazed and left shaking their heads at his mentalist skills. His show combines music with his act adding to the suspense, mood, and overall experience. Daniel Schaffer’s performance at Bella Vista Elementary was truly “MAGICAL”! His ability to capture the attention of an audience of kids ranging from ages 2-11 was amazing! He had the kids ooh-ing and aah-ing, screaming at the top of their lungs one minute and silent within seconds. He perfectly combined magic with showmanship to create a fun, entertaining show that the kids talked about for weeks! Their favorite was him escaping from a straight jacket. Teachers and children alike loved his performance. (The only negative comment from one girl was, “The show wasn’t long enough!”) We can’t wait until he appears at our school again! Daniel was personable and professional. He did some amazing tricks that my friends are still talking about. I highly recommend!!! Daniel gave an excellent performance at my son's 6 year old birthday party. Ages of the audience ranged from 5 years old to teens to adults. Daniel did a great job of including magic tricks for all ages. He did a few tricks that the little kids just loved! I would definitely ask Daniel back to perform at another party. Daniel performed at my companies annual Christmas party. We heave been talking about him ever since. Every event is different but I'm here to help you with any questions you have so we can make your event exactly what you are looking for. Once you reach out to me I will contact you to set up a phone call to find out your goals, what you have planned so far, and help you determine how we can best connect your people at your upcoming event. Because every event is different the initial quote may change, however once I get your email I will send you a password protected link for your company that has the proposal, agreement, promo reel, and all other documents that will make it easy to share with your committee. My goal is to make it as easy for you as possible to provide an incredible experience for your guests that also accomplishes all of your company's goals for the event. What are you waiting for? Let's talk! Daniel Schaffer is from Pleasant View, UT. 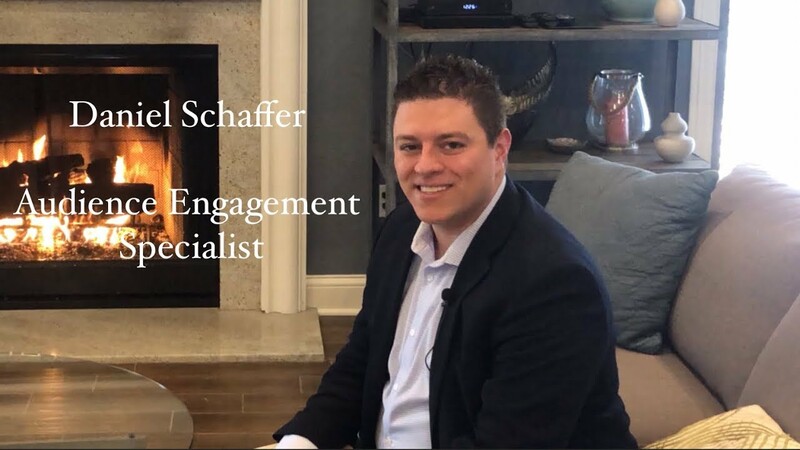 He is an Eagle Scout, and has a degree in general studies with a focus on everything needed to help companies like yours connect their people with their organization. 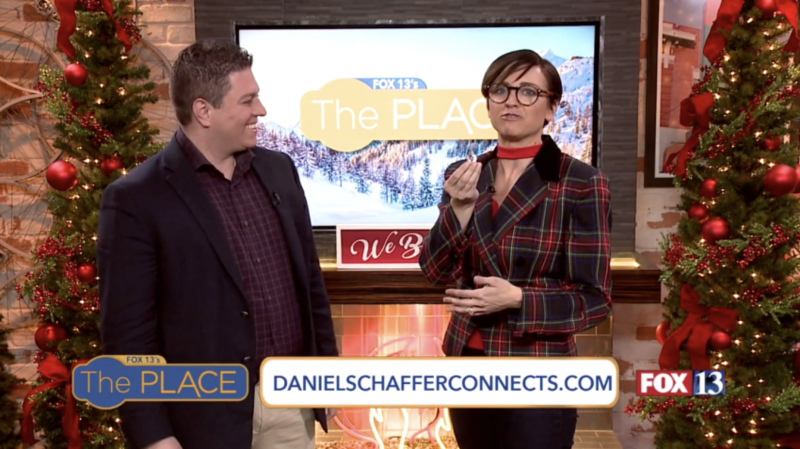 He has made 17 television appearances, is a best selling author, and appears nationwide at companies looking to connect their organization with their people. Daniel loves giving back. He donates his free time and expertise to charities that strike a core with him. Daniel is an adult survivor of child abuse, and works with organizations and groups to help raise awareness and offer support for other survivors who have not yet found healing. Daniel enjoys rock climbing, skiing, hiking, and spending time with his family. He loves what he does and he loves everyone he works with. Daniel sees every potential client as a friend he just hasn't met yet. Your people are important to him, and he does everything he can to make them look and feel good. Every event is different, as we discuss your event I will send over a technical rider with everything you will need so that every one of your guests is able to fully experience the program. professional theatrical lighting to light the front of the performer. Exceptions can be made, I can perform in a closet if needed, however the technical details are for your guests so they can fully enjoy the experience. Raised Platform or Stage -16' wide x 10' deep MINIMUM. 24" or 32" high. Steps front and center with NO handrail and steps to the performers right (handrail okay). Tech for sound and light check 30 minutes before guests arrive. Complimentary Parking close to venue.